In Afghanistan, the US had no plan after invasion beyond chopping off the hydra’s head and hoping that full democracy would emerge,” Sarah Chayes explained in her lecture at The Fletcher School on Tuesday evening, “Inside Afghanistan After the Taliban.” Illustrating the strong desire for rule of law in the country, she thought back to what an Afghan friend told her several months ago: “‘[In America,]You have such beautiful law.’ This rule of law is what the US had to offer Afghanistan, and the governance we have provided is so short of what Afghans were hoping for,” she explained. Chayes came to The Fletcher School on September 26 to describe her experiences and observations in Afghanistan as a journalist and advocate. 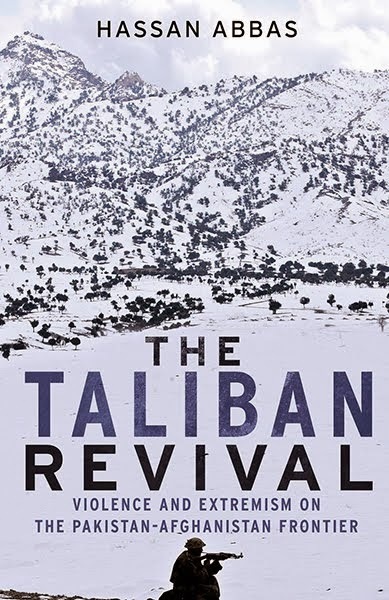 In the fall of 2001, award-winning National Public Radio (NPR) reporter Sarah Chayes arrived in Kandahar, Afghanistan to cover the US-led war against the Taliban. A seasoned correspondent, Chayes had years of experience reporting from conflict and post-conflict areas, but increasingly felt as though, as a journalist, she was, “talking endlessly and making a living off of other people’s stories” - she felt ready to do something more. In Afghanistan – and in Kandahar especially – she developed a strong attachment to the country, and, just before she was scheduled to leave in 2002, she sat down for a meal with her most important local source, President Karzai’s uncle. He asked her, “Won’t you come back and help us?” She knew she could not refuse. This invitation began the next stage of Chayes’ work in Afghanistan. 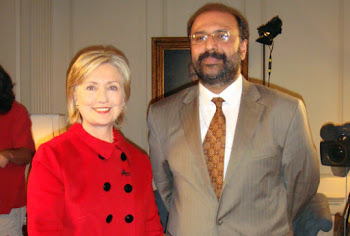 She left NPR and to work with non-governmental organizations (NGOs) in the country, first with President Karzai’s brother at Afghans for Civil Society, where she organized several projects that, in Chayes’ words, typically fall “outside of NGO parameters,” including a local radio station, habitat programs and programs to integrate women into the economy. She has since started her own NGO, Arghand: a locally-staffed natural soap-making cooperative. Beyond her more formal work, Chayes has spent the past several years in Kandahar developing a strong personal understanding of the politics, history, language and culture of the region and country and observed the major changes that have taken place there since the fall of the Taliban and the arrival of US and NATO troops. It is this understanding that is the focus of Chayes’ new book The Punishment of Virtue: Inside Afghanistan After the Taliban, and which was the focus of her lecture at Fletcher. Chayes holds the Afghan government accountable for much of the ongoing instability in the country, but argues strongly that the US be held responsible as well. When the US arrived in Afghanistan in 2001, according to Chayes, perhaps their biggest mistake was the decision to finance, arm and place into power regional warlords – individuals that continue to hold these positions today. As one man told Chayes, It is a return to “the era of robbers” in Afghanistan. While the US felt they could count on these warlords to “bring order” to the country with a policy of “governance later, security now,” instead it has meant widespread government-sponsored corruption and thuggery. “It is the return to power of the people who initially made Afghan people’s lives insecure.” And it is this insecurity, argues Chayes, that is driving the insurgency in Afghanistan. Though Afghanistan held elections in 2005 –internationally perceived as a sign of progress – Chayes contends that voting and the counting of ballots was far from “free and fair,” causing increased local disillusionment with the Afghan government. “We [internationally] tend to confuse the process of democracy with democracy,” Chayes argued. “Afghans know clearly that this is not how democracy is supposed to work.” She went on to discuss how the extreme corruption in politics throughout Afghanistan is generating intense distrust of and is alienating Afghans from their government. The damage to the political system has become so great, Chayes explained, that while government offices have finally begun to recognize the need to hire ethical, dedicated, intelligent public servants, few are willing to accept these jobs for fear of being associated with the government. Chayes’ own experiences in Kandahar have not been removed from the bureaucracy, corruption and violence that now plague much of the country. During her lecture, she described struggles with the local governor to arrange for electricity to reach local businesses, encounters with corrupt officials (including one incident where she sat cross-legged on a bureaucrat’s desk until he ceased demanding bribes and signed her paperwork) and the assassination last summer of her closest friend, the local Chief of Police. When asked about her views on Afghanistan’s future, Chayes was not optimistic “The government simply has to step forward and perform its duty,” she concluded: there remains much work to be done.